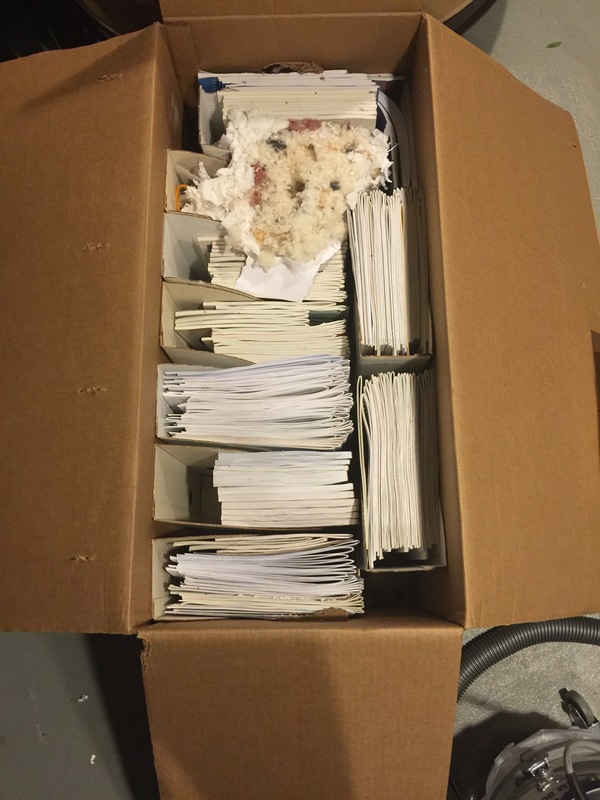 Rodent nest in a box of periodicals from a basement storage space. The Rodent Trapping Tip Sheet provides general information on the use of snap traps to address a mouse or rat infestation. IPM’s emphasis is on prevention and avoidance of infestations, so the information provided should not be interpreted as a permanent and/or ongoing response to rodent infestations. Pigeons and other birds can create problems historic structures but more problematically their nests and carcasses are a prime source of dermestid infestations. Christina Cain wrote a Denver Museum of Art Case Study on an infestation created by a bird carcass. 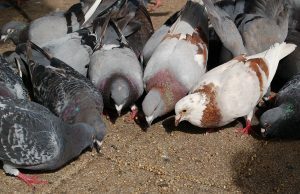 Visit the Bird Identification Fact Sheets on this site more information on specific bird issues. Check back for information on this topic.